Jammu and Kashmir: Militant killed in encounter in Budgam - Integration Through Media ....! SRINAGAR: An unidentified militant was killed today in an encounter with security forces in central Kashmir's Budgam district, police said. A woman was also injured in the incident, they said. 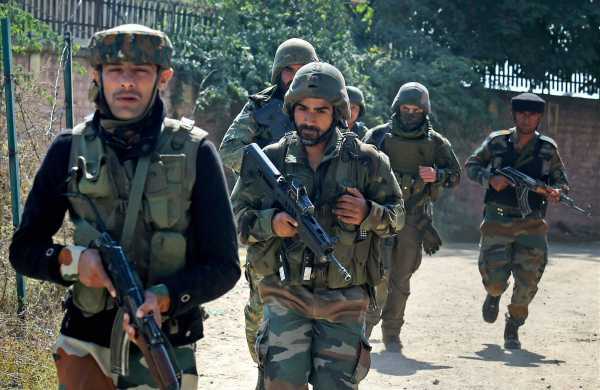 Acting on specific information about the presence of militants in Khan Mohalla of Arizal in Beerwah area of the district, security forces launched a cordon and search operation during the night, a police official said. The militants, trying to flee, came out of the house and began firing indiscriminately, he said. The forces retaliated, killing one militant, he added. Arms and ammunition have been recovered from the site, the official said, adding that the identity of the slain militant and his group affiliation was being ascertained. The police promptly took the injured woman to a hospital and her condition is now reported to be stable, the official said. “The area is under cordon and searches are being conducted,” he said.